On October 25, 2017, Popper & Yatvin partner, Alan L. Yatvin, addressed law enforcement and civil society representatives from West Africa (Burkina Faso, Mali, Niger and Senegal) on police reform experiences and strategies. The program was part of the United States Department of State’s, Study Tour to Review Use of Force and De-escalation Training, Enhance Community-policing Practices, and Strengthen Interagency Coordination in the Sahel.1The Sahel is a semi-arid tropical savanna eco-region in Africa, which forms the transitional zone between the Sahara Desert to the north and the more humid savanna belt to the south known as the Sudan (not to be confused with the country of the same name). 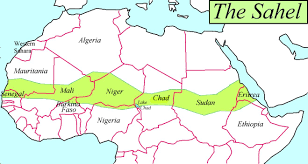 The Sahel stretches from the Atlantic Ocean on the west, eastward through northern Senegal, southern Mauritania, the great bend of the Niger River in Mali, Burkina Faso, southern Niger, northeastern Nigeria, south-central Chad, and through the nation of Sudan to the Red Sea coast. Co-presenting with Yatvin was Carlton L. Johnson, a former Chief of the Philadelphia City Solicitor’s Civil Rights Unit, now with the law firm of Archer & Greiner. Johnson and Yatvin are both long-time adversaries and frequent collaborators, often simultaneously. Through litigation brought by Yatvin and his partner, Howard D. Popper, they have shined light on issues involving unreasonable use of force, police corruption, off-duty officer misconduct, police disciplinary systems, methods and record-keeping, and police interaction with persons with disabilities — most notably detainees with diabetes. Through verdicts, settlements, negotiation and collaboration with Johnson, Yatvin has prompted or participated in significant police reform in these areas. Yatvin was selected to present at this program because of this experience, coupled with his international law work at the United Nations International Criminal Tribunal for the Former Yugoslavia and the International Criminal Court, both in The Hague, and at Phnom Penh’s Extraordinary Chambers in the Courts of Cambodia, also known as the Khmer Rouge Tribunal. 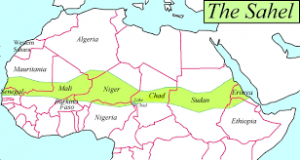 After describing some of these successful police reform efforts and collaborations in Philadelphia, some of the barriers encountered and lessons learned, Yatvin turned to translation of those experiences and strategies to this region of West Africa. “In Philadelphia,” Yatvin explained, “we have robust civil rights laws and strong courts, which enable us to effect change through litigation.” Yatvin also noted the presence of active, well-resourced, non-government organizations (NGOs) like the NAACP and ACLU, which play a part in police reform. By contrast, these countries have a less mature legal system, without a comparable mechanism or a tradition of civil rights enforcement. Add to that scarce financial and human resources, the absence of a history of police-community engagement, political instability, a broad range of trafficking crime, as well as security and terrorism concerns. In such an environment, the barriers to police reform are high. Acknowledging these differences and the hurdles faced on the ground, Yatvin and Johnson then turned to ways in which their Philadelphia experiences could be translated to the region. These included: building bridges with the help of NGOs, community groups, tribal authorities and religious institutions, fostering community trust by actively and visibly addressing police corruption — large and small, and providing training that included de-escalation of force techniques, community relations and professionalism. “These attendees are facing myriad challenges, most of which are all but unimaginable to us in the United States. Yet, their enthusiasm for the task, their thirst for ideas and methods, and their eagerness to engage, was humbling and inspiring,” Yatvin concluded.